Daniil, can I start with you? Three points finishes, one 11th place, you must be quite pleased with the way things have started in the first four races? Daniil KVYAT: Yeah, it’s going quite OK now. A bit of a shame not finishing in the points in Bahrain as well, but anyway you have to learn from something. So far we’ve been a bit on the limit of the points zone, but I hope that we can make some good steps and become even a bit more competitive, so we can take points a bit more easily. It would be a really good step but we are working hard together and soon it will be reachable. So the story so far is that Jean-Eric Vergne your team-mate is three-one up on you in qualifying but you’re ahead of him in races. He’s had a few reliability issues in races but how do you see the balance between you, and your own progress? DK: I’m not really looking too deeply into these scores and so on. We’ve been quite close. Don’t forget that Jean-Eric is a very fast driver and he’s in the peak of his shape probably now. Also very experienced. In the wet I have to admit he was very fast so far and in Bahrain it was a dry quali. Of course, he’s also been having a bit of issues. But in China it was a very good balance. I was quite happy in the race. I was quicker than him at that point but in the end we have to see in the future races. Max, coming to you. The run continues: 23 consecutive finishes in your Formula One career, two 13th places so far this season, are you proud of what’s been achieved so far? Max CHILTON: Yeah, I am. Last year it wasn’t a perfect season but lots to take away from it. I remember someone asking me in me in Monza, I think, saying: ‘you’re 10 races in, that’s a good little record you’ve got going there’. And then I broke Tiago [Monteiro’s] record, which was 16 from a rookie start, and we though it would be nice to get to the end of the year, which we did. Credit to the team; that’s pretty good for a small team reliability-wise. And we’re four races in now and we’ve carried that on. It’s not our main goal, but where we are it’s absolutely crucial to finish the race as I’ve shown this year with the two 13ths. We did have good speed but we had to be there at the finish to make sure those results counted. So we will try to keep it going but our main focus is to try to get a bit more speed out of the car and myself. Apart from Malaysia, in the races where you and Caterham have both finished Marussia has tended to be in front of them. Can you say a little bit about how you see that battle and also about how close you feel you are now to the teams in front of you? MC: We’ve always had a good battle with Caterham. They kind of hold back sometimes, I think, in practice and qualifying and surprise us in the race. But I think this year, to me, our car is definitely better. We’re developing well. We’ve brought some good updates to here. I’m not sure if they have or not. It would be nice if we could push forward. Sauber hasn’t been too far ahead of us and we’ve been battling with them in at least the first few stints of the race and so… yeah, I guess you’ve got to focus on the cars in front, there’s no point in focusing on your mirrors, so we’ll try to improve our results this weekend. Thanks for that. Coming to you Pastor. Obviously you’re a former winner here in Barcelona. Lotus in Q3 in qualifying in China, running in the top 10 obviously. How would you describe progress within the team? Pastor MALDONADO: It’s clear that we have been progressing quite a lot in the last couple of races. Still maybe we were not at 100 per cent but we’ve been working really hard. Hopefully here with a bit more time, putting everything together we can be much more competitive and we can fight for good places. This is our main focus at the moment and I think we can. We have a good car, a good team. We have been not good enough with all the new engine system at the beginning but now it seems to be more clear in terms of technology, you know, controlling all the systems in the car and hopefully from this race to the end of the season it will be much better for us. We’ve heard about a lot of new parts on the car this weekend and also power unit upgrades from Renault. What are you expecting and what are you expecting from yourself this weekend? PM: I’m expecting to have no problems, a competitive car, and do my best. I the past I’ve been quite good here, so I think as soon as we manage to solve all the problems we will be back to fight for good places. Sebastian, Red Bull have announced that you have a new chassis this weekend, so I wonder if you could share with us what’s in it, why do you need it? Obviously, we’ve heard you saying that you don’t feel that the car was talking to you; maybe you’d like to elaborate on that. So, what are you looking for from this car and how close do you think you’re getting to finding it? Sebastian VETTEL: I think we concluded after China, where we were quite a little bit behind to change the chassis, so actually it’s not a new chassis, it’s an old one that we used in testing in the winter, and we have some experience with it. It’s more a sanity check rather than a real problem with the other chassis. So it’s just to try everything we can and basically reset and start again. Obviously there is still a lot of work ahead of us, as I mentioned after the first couple of races, maybe I’m not as happy as I want to be but it’s a long process, a lot of things have changed and I think we need to be patient. Kevin, two-all versus Jenson, you personally have been three times in Q3, so Saturdays are going OK, but it’s been a rough couple of grands prix, the last two for you. Tell us about that? Kevin MAGNUSSEN: Well, I think I’ve learned a lot. It’s been good in many ways as well. Obviously we’re not where we want to be and we need to keep working really hard to get there. But I think I have learned a lot and there have been many positive points to take away from the last two races. It’s no secret that we are not where we want to be; it’s not that we’re happy or that I’m happy. We just need to work hard, keep working hard. The team is doing a great job. They are staying positive, although they are not happy with the position. They are staying strong and keeping the fighting spirit up. So, yeah, I’m pretty happy with how things are going in terms of the progress we’re making. It’s unusual for McLaren to have two races where you score no points with either car. How has the team reacted to that internally? KM: Well, in Bahrain I think we would have scored points. China was not good for us. It was a bit of a shock how far off the pace we were but again I think we learned a lot. We know China is probably the worst circuit for us at the moment, but we’ll just see how it goes here. Fernando, a two-time winner here, winner last year in a Ferrari. Tough start to the season clearly but third place last time out in China. How much encouragement has that given you and the team, and how big a step have you brought with you here this weekend in terms if updates? Fernando ALONSO: The China result is a boost for all the team – extra motivation to keep working hard. As you said we are not in a position we are happy with. We start with some deficit to the top teams, especially Mercedes who won the first four races and is dominating now with good margins, so we try to decrease that gap and we try to get closer and closer. To do that we need to make bigger steps than what the other teams will do. For here, to be honest, we need to wait and see. I think the characteristics of the circuit will help us a little bit, with not too big straights – only one here on the finish line. About the new parts, we bring some new parts but nothing out of this world. I don’t think we will be different compared to any other top team in terms on what we bring here, or even less. We need to see. As I said, track characteristics are the biggest help we have here. Q: (Mathias Brunner – Speedweek.com) Sebastian, not to use the same chassis again, how much of a ‘black cat’ decision was that? SV: Not really. I think it’s not unusual to change chassis, generally. Obviously if you change, you change to a new one, but we decided, as I said before, to change back to an older chassis just to make sure nothing is wrong. Just to see, or basically change the things that you can, to have a reset and try again. We don’t think that there was anything wrong with the old chassis but nevertheless we decided to change, so if so we should get an answer this weekend. Q: (Jackob Melgaaro – Metro express Denmark) For Kevin, how do compare the car after the break to the car you drove at the last grand prix and how do feel about this track in Barcelona? KM: We don’t know how the car feels, we haven’t driven it yet since the last race, so we’ll have to wait and see. I don’t expect it to feel a lot different. We are bringing a few new parts but nothing that is going to change the world. This track is the first track on the calendar this year that I’ve been to before, so that’s nice. It’s nice to be in Europe again, so feeling a bit more at home. So I’m looking forward to it. Q: (Manuel Franco Peral – Diario AS) Fernando, podium is a real goal for you here in Spain? FA: No, I don’t think so. We cannot start the weekend thinking to be on the podium. Or thinking to win the race. That will be creating… y’know, false targets to everyone who will come here. We finished ninth and tenth in Bahrain, we did podium in China because we had some things putting together on that Sunday but it’s not that we are in a position now to say we will fight for the podium here. We will do our best but we know it is going to be a tough weekend and it’s not going to be easy. But, you never know, this is sport and anything can happen but today, sitting here, if I tell you that I will fight for the podium, probably I will lie to you and I don’t want to do so for all the people coming. Q: (Renan Do Couto – Warm Up) Question for Fernando. Fernando, after four races this season Kimi has only 11 points. At the same point last season Felipe Massa had 30 points. Does it show that Ferrari need much more than a driver-change to get back on the title fight? FA: I don’t know really. We are not in a position at the moment that we expect. We thought to be more competitive and we struggle, as everyone sees, at the start of the season. I think it is the same for all the teams that we are facing some problems, apart from Mercedes, they had an easy four races, four wins. But, you know, we will work hard. We will work hard to come back in a better position and the start of Felipe or the start of Kimi was not the best in terms of points but I think hopefully soon they will be close to the podium or to the victories and we, both Ferraris, can score many points for the team. Q: (Ralf Bach – Sport-Bild) Question to Fernando. When I listen to your, let me say, remembrance from China, between the lines I could hear that maybe the driver was better than the car in this weekend – or on the Sunday? FA: I think the car is always what it is. The car never changes. The driver, also, sometimes you have better luck, sometimes you have worse luck. In China, for example, I have a crash at the start and nothing happened to my car and I could finish the race. I think the Red Bulls, they were fighting a little bit, they lost a little bit of time and I could be there. My pitstops were very quick. In the first stop I overtook Sebastian in that lap, so there were many factors together that put us on the podium. But, y’know, we need to do very special weekends to be on the podium and China was one of those. Lucky. And some other factors. So arriving here, sitting on Thursday on the next press conference. To repeat that podium will be unbelievable. But it’s not, at the moment, our main target. Q: (Vladimir Rogovets – Sb Belarus) My question is for Sebastian and Fernando. You are the champions. How long can you work without first place in the podium? SV: Well, I think – and Fernando will probably say the same – we’re here to win. I’m not coming here to finish second or fifth – but you have to be realistic and the target is always to get the maximum out of yourself, out of the car, out of the package that you have. And you can get a lot of satisfaction if you achieve that. So, it means basically if a podium is in reach or P5 is the best you can do then you need to ensure to become fifth. If you then become seventh it is not satisfying. But surely, ultimately we are here to win. That’s the target but obviously you know much better what’s going on inside your team and how competitive you are. So yeah, there’s a lot of things that need to come together. Right now, obviously, we have Mercedes in a very, very strong position. Difficult to beat but never impossible. FA: Unfortunately I have a lot more experience! So, yeah, there is nothing really you can do apart from try to do the best job you can and try to find different goals. Obviously we are here all to win. My last win was last year, here. So it’s one year without victories. I would like not to have that long period. On the other hand, we are 22 drivers on the grid and maybe 20 are in a worse position than me. So, I cannot also be… y’know, blaming my luck for that. I’m extremely lucky and a very privileged guy, so, you need to keep working and if your boss is happy with you, that’s something very important. Q: (Andrew Benson – BBC Sport) Sebastian, Christian said in Autosport today that you are extremely sensitive to rear stability on corner entry. But that was… last year you were using the rear instability to turn the car into the corners. Can you explain what it is about this year’s car that you don’t like and why you’ve not been able to adapt to it so far? SV: Well, I think generally we all have our own style to how we like to drive the car, how to set up the car. I think in general I don’t mind when the rear’s moving so I don’t mind suffering or having oversteer in the car. But if it is too much obviously if it starts to bother you when the car slides too much, then you find yourself correcting more than actually being able to push or get the maximum out of the car. And, yeah, it slows you down. I think that has been part of the problem so far. There’s lots of reasons behind it so it would be nice to have just one problem and one fix for that but obviously it got a lot more complex this year. There’s a lot more factors than just the car setup. So yeah, we’re still learning a lot. We did already a lot of improvement but there’s still obviously a lot to do. But I think generally you never change your… the way you like to drive a car or your style I think doesn’t change. Q: (Cristobal Rosaleny – Car and Driver) Question for Sebastian. You’re changing now chassis. You have spent four races with problems behind Daniel Ricciardo. Do you feel this time you have lost is a bad thing for you for your own progress during the season and could affect the rest of the season for you? SV: Surely if I had won the first four races it would be better for my season that what I did! Yeah, it is what it is. There’s two ways. You can always look back and try to find something to complain about – or you can look forward. And I think in general we are trying to look forward to the next race. There’s a lot more races this year to come and for sure we didn’t score as many points as we hoped. But then again after winter testing I think we were in a very bad position. I think right from the first race it was probably better than what we initially expected. Lots of positives with Daniel’s podium in Australia – which obviously got taken away – but then the podium in Malaysia showed that we are on the right track but knew, just reading the feeling inside the car that it’s not yet where we want to be. And you also see that in the results. As I said, there is a lot of work but I think we are generally quite good in getting the maximum out of the car. At the moment there’s a couple of things that we need to get on top of and then it should be a different story. Q: (Daniel Johnson – Daily Telegraph): Seb, looking forward it’s no secret that your car’s good in the corners but not so good at the straight bits in between. 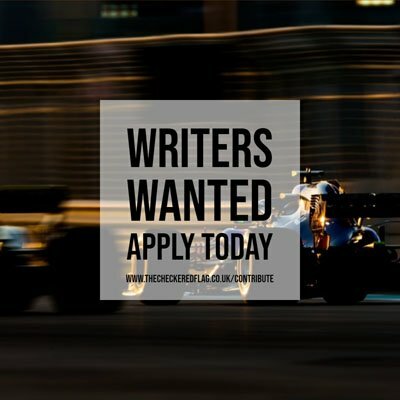 How much are you and the team – particularly considering it’s the start of the European season – relying on Renault to make a big step forward for you to mount some kind of a championship challenge? SV: As you mentioned, it’s not a big secret. If you look at the sector times or comparisons that we have available, we currently lose out too much on the straights – but there’s always hope, obviously. Again, you have to look at it from the start. Where we started in winter testing was unfortunately way, way off compared to where we wanted to, in all means. Talking about the car, we set fire to the car nearly every run. Talking about the engine, obviously we were not on the same page that we expected to be, both in terms of reliability and performance. So, since that, I think we had a very, very strong comeback but obviously you miss that time of development. But I think there’s always hope. Just look at Ferrari, for example, the last race, the step that they did was mostly in straight line. I think they got a better fuel and picked up around 7kph on the straights. So… we know that our disadvantage is more than 7kph to the Mercedes which are currently the benchmark down the straights but things can change quickly. We need to make sure we push 100 per cent on the car and also on the engine side. In the end we are a team: Renault and Red Bull Racing, so both parties know that we need to push very hard to make sure that we beat these guys and also the currently strongest team with Mercedes. Q: (Graham Harris – Motorsport Monday) Sebastian, you’re changing chassis at this race, why not a new chassis? And the second part: does the chassis have a name? SV: Same as before. It’s not that much of a black cat, I hope. Q: (Carlos Miguel – La Gaceta) Fernando, this morning Toto Wolff said that you are a real race monster. He said that Ferrari is the biggest enemy in the championship; what do you think of these words? FA: About the monster, it depends how you take it. At least he’s a man. If it was a woman who said that I was a monster it would be even worse. We need to do it step by step. As I said, we need to be realistic with the position that we have. We will not give up, there’s a big gap and a big gap in points and in performance with Mercedes but there’s still a long way to go in the championship so we will try to do our best. As a team, and with the potential that Ferrari has, we must do anything we can to close that gap and to become competitive. That will not happen between one race to the next one, that will be a slow recovery and hopefully not too late when we become competitive in terms of points to fight for the championship but let’s do it race by race. China, as I said, was a combination of things and very good luck to get that podium. Here in Barcelona, it’s a good point to check how competitive we are, because it’s a circuit with different characteristics again and a circuit that will give us an answer in some of the parameters and some of the areas that we need to find some answers. Monaco is the next one, then Canada – again a completely different circuit so we are in a moment of the championship that will tell us many many things in terms of how competitive we can be and how much of a threat we can be for Mercedes. If they count on us for the championship fight, it’s good news because they respect us but we need to deliver if we want to really become a threat, so we are on that, that work. Q: (Silvia Reneé Arias – Parabrisas) Fernando, I want to know if you find any change in the Ferrari team after Stefano Domenicali left? FA: Not really. At the moment, everything is more or less the same. I have been in Maranello last week. Everything is calm and no big changes, nothing really that you’re going to spot that is different at the moment. As I said in China, Marco (Mattiaci) arrived – as we said – with little experience in motor racing, a lot of experience on the managerial side but he’s listening, he’s learning as quickly as he can in everything. I don’t think Marco wants to become an engineer because that’s not his priority at the moment but he will need some time to settle down and to make some changes, some decisions if he thinks they are needed. As I said, in the two or three weeks that he’s in the job, nothing has really changed at the moment. He needs more time. Q: How much are you guiding him; how much are you contributing to that? FA: We had some meetings, obviously, to try to help him in all the areas. He’s quite interested to listen to everyone. He called all the engineers and all the engine side, electronics, the drivers, we are going to his office and try to explain all our points of view and all our requirements. As I said, he’s taking note of everything and he will make the necessary changes, what he thinks is best for the team. Hopefully that’s a good thing for Ferrari to move forward and to improve some things, some historical mistakes that we’ve made in the past and we will see if this fresh approach… and not influence about any technical things because, as I said, he’s not an engineer. Hopefully that will help Ferrari. Q: (Valenti Fradera – L’Esportiu) To all of you: the circuit Barcelona Catalunya used to be the venue of choice for pre-season testing but this year you haven’t run here yet. Will that change how you approach the weekend, and will we get to see more laps than usual tomorrow during free practice? PM: Even without any tests, it will be same approach as the other tracks, for sure. I was quite interested to run before this season, because it’s a good track, a good combination of corners, good weather but it’s what we have so it will be the same. MC: Yeah, it will be pretty similar. Obviously when we’ve come here in the past we’d pretty much know the ideal set-up for the circuit. Obviously the cars have changed drastically since last year so there will be a lot more to find out now we haven’t done any pre-season (testing) here. And we’ve now got the extra set(of tyres) in the first thirty minutes of free practice which we can use so there will definitely be more laps completed but if you compare it to China, for example, it won’t be any different. Q: Kevin and Dan are obviously rookies (in F1) but you’ve got personal experience of this circuit, even if it’s not necessarily in Formula One. KM: I don’t think it’s going to be a lot different – the approach to this weekend than the other weekends. Personally, I like this track, I think it’s a good track, the mix of corners. As I’ve said before, it’s a track that I’ve been to a lot of times, so it’s nice to feel at home here but other than that, it’s just a normal weekend. DK: For me as a driver I don’t think it’s going to change a lot compared to other years we’ve been coming here. It’s my first time here in Formula One as well so let’s see how it will start going tomorrow. SV: I don’t think it makes a difference. We didn’t run in Bahrain. I think that even if we had had the test here in the winter it would make a difference. But usually it’s quite cold in winter time, so when you come here in May it’s quite a big difference, so you need to use the time that you have available in free practice, but I don’t think we can run as much as we’d like to because we’ve all got the safety… the engines. We will see, but for sure the running tomorrow will be important. FA: Nothing to add, really. Q: (Livio Oricchio – Universo On Line) To all of you: when you have one driver from a team that has a car that is winning everything – like Mercedes – and your team needs to win three times in a row (to catch them up), how does it work for teammates? For example, the guy who is behind, does it stimulate him to try to win or does it work in the opposite direction? FA: Yeah, I said waiting for Rosberg. I don’t know really. For this, when it happens, it was a question for Mark last year, when Sebastian won nine times. For Rosberg now. It’s not so difficult to know what you’re experiencing. Probably I will answer because I will have the experience, but now… of course, I think Rosberg would like to win, that’s for sure. SV: I would hate Lewis now, if I was Nico. PM: I would hate Lewis as well. It’s a difficult answer. For sure, you always want to beat your teammate, you always want to do your best and to be ahead of your most close contender. For sure, it’s not ideal to always be at the back but in my opinion, they are both competitive, sometimes one is quicker than the other and sometimes it’s vice versa. It’s a difficult answer because it depends about any driver. MC: It would be nice to be in that position, obviously. It’s hard to beat someone who never gives up and Rosberg, I’m sure, will never give up. I’m sure he will get his fair share of wins back. Sometimes if you’re constantly winning you sometimes let things slip so if you just make sure you just keep giving 100 percent, he will definitely get other race wins. KM: I don’t have anything to add. DK: I don’t want to talk for others but if I have to talk for myself there’s never a huge friendship between teammates so I think you always want to be in front of everyone and there are some circumstances, sometimes if you’re teammate is in front of you, it means that there is something that you can maybe do better but once again, there are different circumstances.